In this 6-day Yoga Retreat in Italy you will be offered the opportunity to (re)discover your true Self and a renewed passion for life. Your inner world is reflected in your outer world. In order to meet the world in an open way, in which you can experience balance and flow, you first need to establish a solid connection with your Self. Through the busy-ness of life, and the demands society seems to put on you, you may have lost track of who you actually are and what you want in life. In this program, Marije and Nishta will take you on an inner journey, to reestablish a well-being that is independent of outer circumstances and solidly rooted within. With the practice of Yin Yoga, meditation, pranayama, conscious movement, creative writing, drawing and aromatherapy, you will (re)discover your true Self and a renewed passion for life. BUILT ON A HILLTOP. BUILT FOR EVERYBODY. Just an hour’s drive from Milan lies Mandali. A beautiful new retreat centre that overlooks the spectacular Lago d’Orta in Northern Italy. Set 850m above sea level on the edge of the rocks, the design of Mandali has been inspired by Italian villages from the Middle Ages. Local, sustainable materials have been used. And, where possible, energy is produced by solar power and our natural wood heating system. Meanwhile the subtle positioning of buildings based on Feng Shui principles complement the design and emphasize a feeling of space and harmony with nature. The way that Mandali has been built is based on a unique collaboration between architects Gian Carlo and Matteo Primatesta, interior designer Reineke Antvelink and Feng Shui specialist Simon Brown. 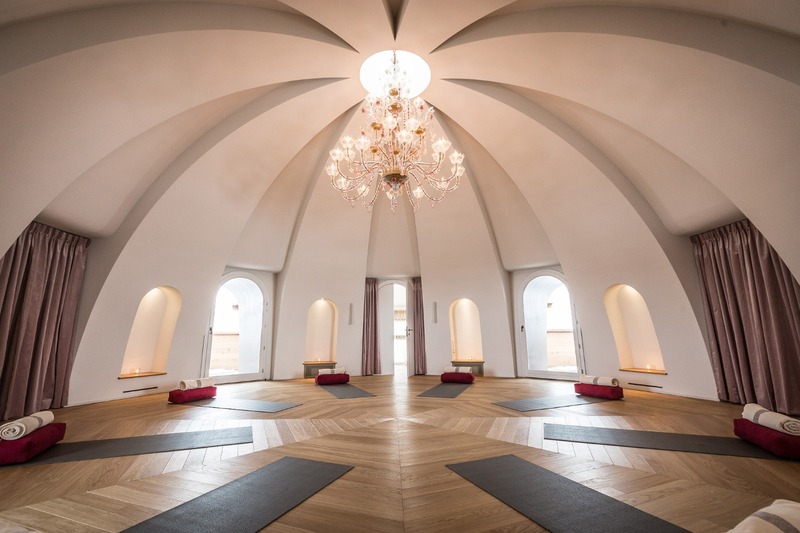 Together they helped to translate the founders’ grand vision into a beautiful retreat with a tranquil, mystical and almost monastic atmosphere -all offset by a spectacular natural backdrop. The result is a stunning, sustainable, spiritual space that enhances and contributes to providing deeper personal experiences and inner self discoveries. 20.30 – 21.15 – Evening session – Integration Work. Meditation. Sharing Circle. To book this Yoga Retreat in Italy click the button below and fill out the form to secure your spot. You may have questions about this Yoga Retreat in Italy. Or you simply would like to get to know me a little bit before you book. I’d be happy to talk with you through Skype, or answer your questions by email.